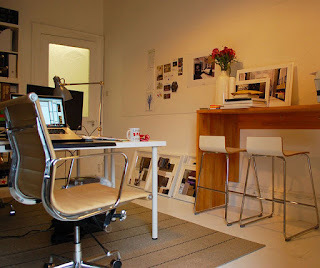 Healing Occupational Therapy: Are You Considering Working from Home? Are You Considering Working from Home? If you are an occupational therapist have you thought of working privately? There are many reasons that one might consider doing so. Personally, I needed to move to work from home as it is the best way for me to manage my health. The timing was not the best which has posed certain challenges. I would say that I have learned the hard way some ideas to help to overcome these. The way in which I got into working privately is not the ideal. I have searched for years for suitable assistance. Sadly it has taken years to find the help that I needed. Yes, without that direction, I have made some mistakes, but you don't have to go the same road that I have. And if you do go the way I have done, you are lucky, as there is someone who has gone that road before you. Hence, if you follow this blog, sign up for my newsletter and are patient for when my book on work comes out, chances are you wont need to make as many mistakes. At least, I hope not. I am currently reading an excellent book about setting up a private practice. Stay tuned, I plan to post a full book review and also hope to do an interview with the author. I really wish I had that book about 18 years ago, possibly more. Somethings are worth waiting for and I am very grateful to be reading the book now. It is giving me ideas to improve my practice. There is much work in store, but it's all good and exciting. Have you read much on the topic of starting a private practice? It's so wonderful to see such books coming out. Providing a therapeutic service is not the only way to work from home. If you have a life situation like I do and need to work from home, there are quite a number of options as to type of work that could be suitable. I am very grateful to have discovered a few and hope to share these too. Is working from home important to you? Is this a goal of yours? If so, what are your questions? Where are you in your journey towards working successfully from home. Thank you very much for list. very exclusive collection.